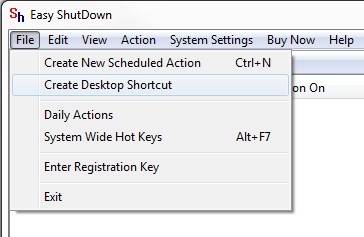 Configure Shortcut Hot Key to Auto Shut Down Computer easily. 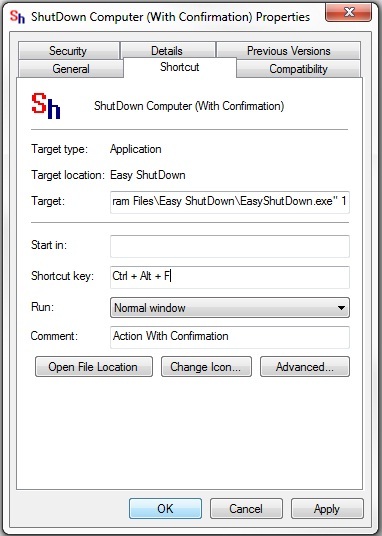 Download & Install Easy Shut Down Application on your Computers or Laptops. After Installing Easy Shut Down Utility launch Easy Shut Down Application from the Desktop Shortcut. Go to File and Select Create Desktop Shortcut. Another window will appear Select Shut Down from the List though you can select any option from the Available Action but lets this Entry talks about Shut Down Computer. 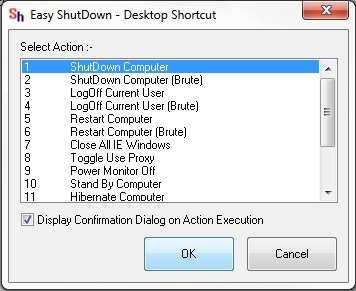 Select the Action Shut Down and press OK the Desktop Shortcut will be Created to Shut Down your Computer. You can also Double Click on the Desktop Shortcut Shut Down Computer and you can also Configure Hot Key Shortcut to that Shortcut. Go to the Shut Down Shortcut Created. 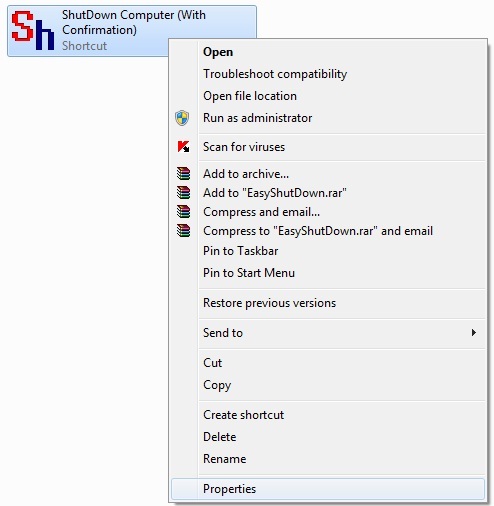 Open properties of Shut Down Computer Shortcut. In the properties of Shut Down Computer Shortcut in Shortcut Tab Enter a Hot Key in the Shortcut Key box and press OK as displayed in the above Screen Shot. Now you can press the Configured Hot Key and Shut Down your Computer Easily.